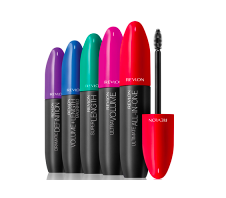 **HOT** $5 Revlon Mascara Coupon - valid May 1st ONLY! I have verified with both of them that each individual coupon printed has a totally different pin numbers, PRINT AWAY BEFORE IT DISAPPEARS!!!! Also it seems that the emails may take a little while to hit your inbox. Check your spam folder! You do need Adobe for the pdf file. Thank you to Jeremy King and Joy J Gordon for telling me about this coupon!